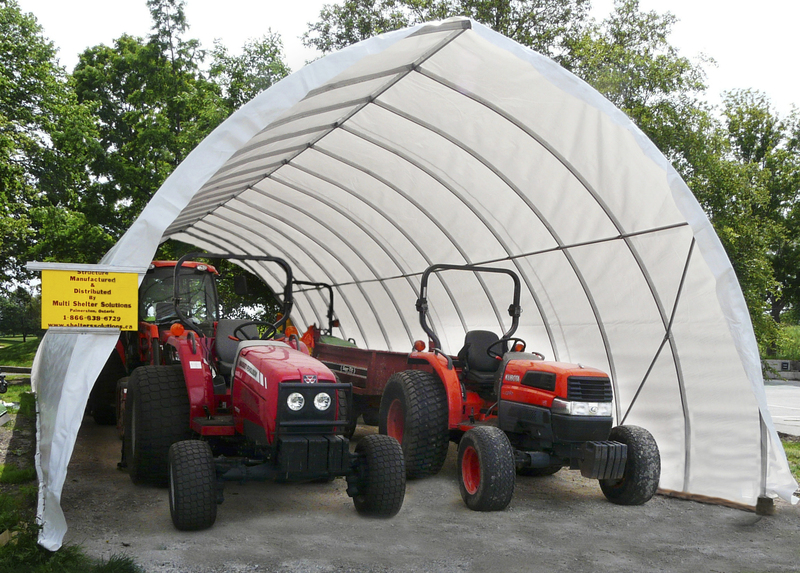 We have a variety of shapes and sizes to suit your equipment storage needs. 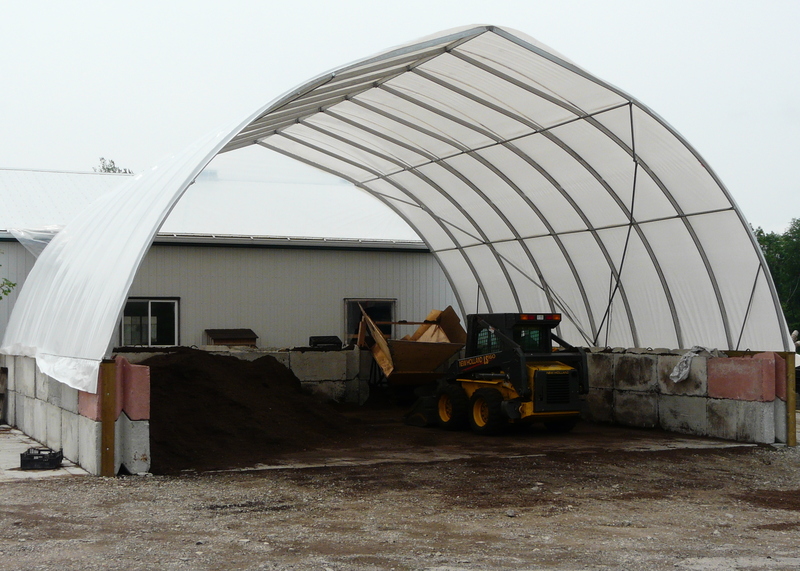 Our buildings can have very straight sidewalls for more interior space with or without putting it a wall. 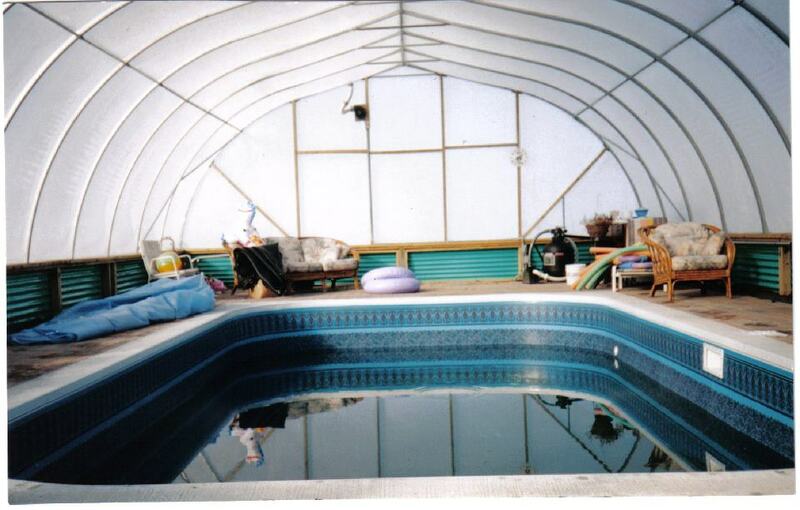 The recommended covering is a 12 mil woven plastic tarp that is a three layer white, or green canvas. This will prevent excessive wear and tear on the cover if equipment is bumping into it. 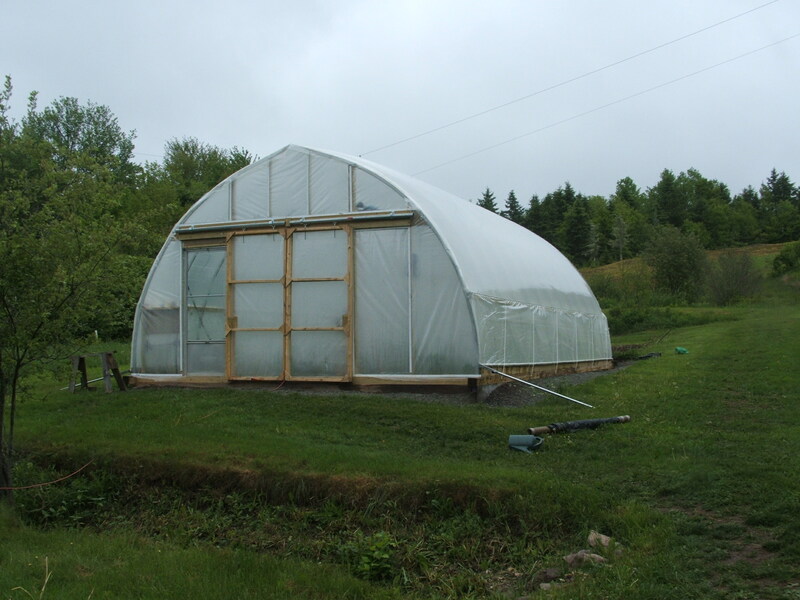 There are many benefits to having a greenhouse structure for organic growing and housing. 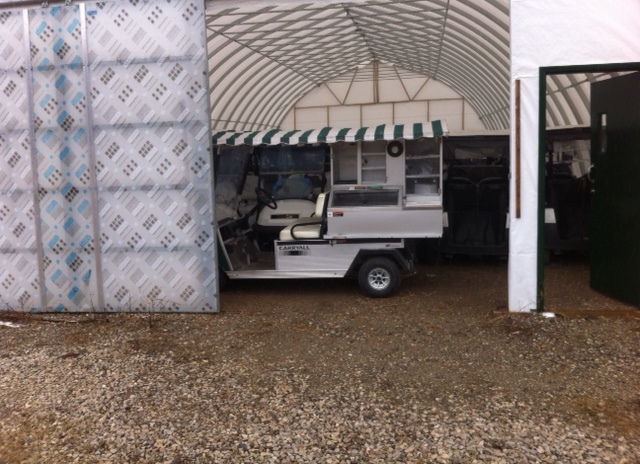 They are often used a season extender for protecting crops from the elements, blight, and fungus. Since Organic growers and farmers do not use pesticides, this type of protection is often required for some of the more sensitive crops. 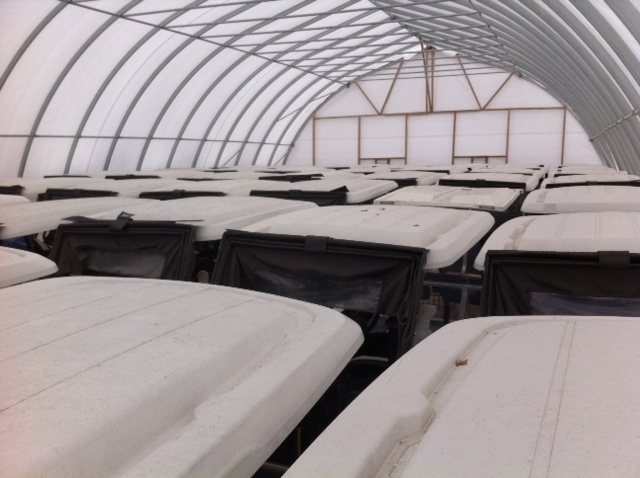 The structures are easy to move to allow the expansion of the growing area.These structures can easily help to give you the opportunity to grow more crops in a limited area. 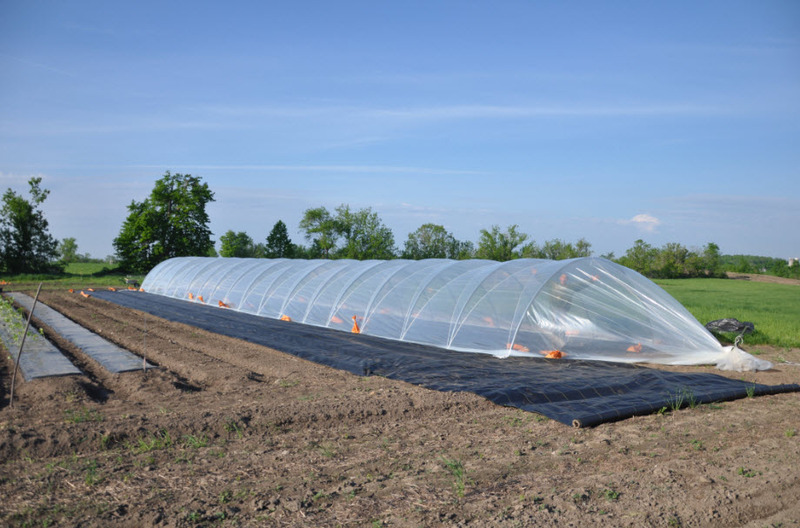 What many of our customers also do, particularly with Hanley Caterpillar structures, is start growing the early crops under the protection of the structure, and as the crop is stable enough, they move the structure to be able to start the next planting. 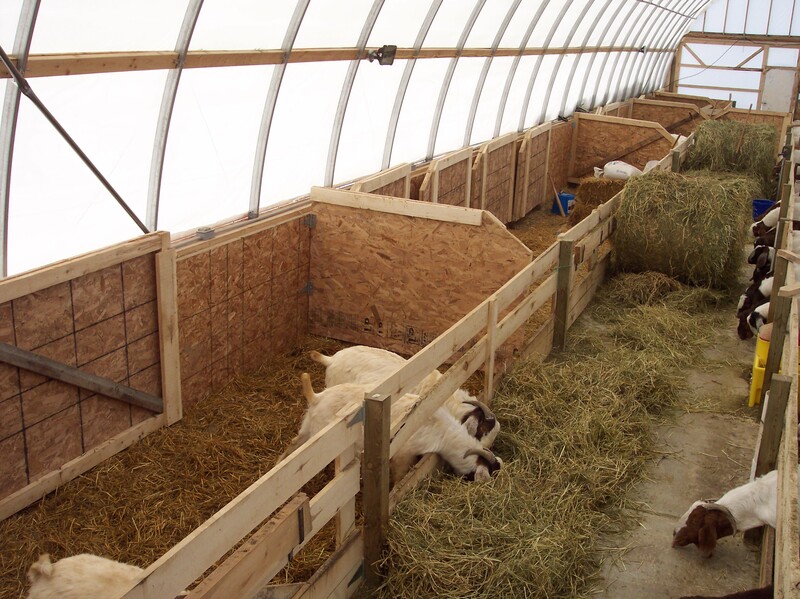 Our structures are also used for organic livestock raising to ensure the animals have a healthy, safe and protected environment out of the elements. 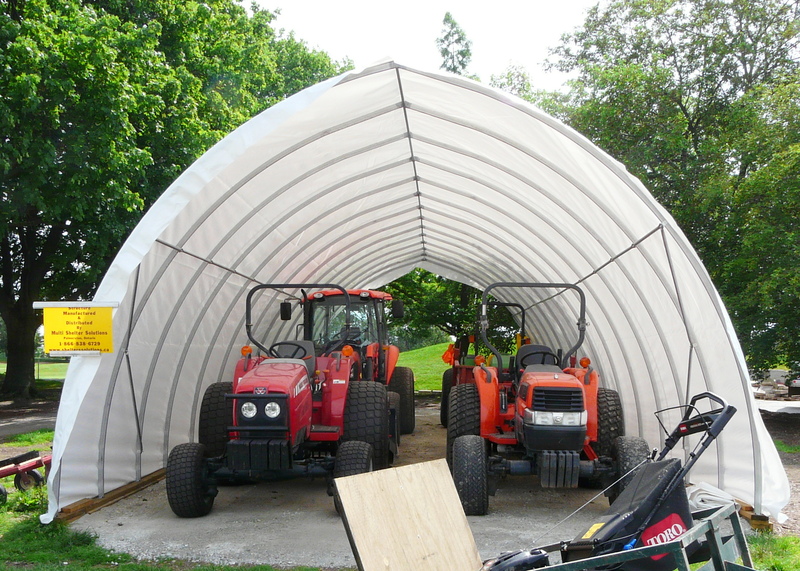 They are versatile structures, and only require the changing of clear to white plastic for the various uses. The environment allows the animals to have sunlight, but still get the shade they require. 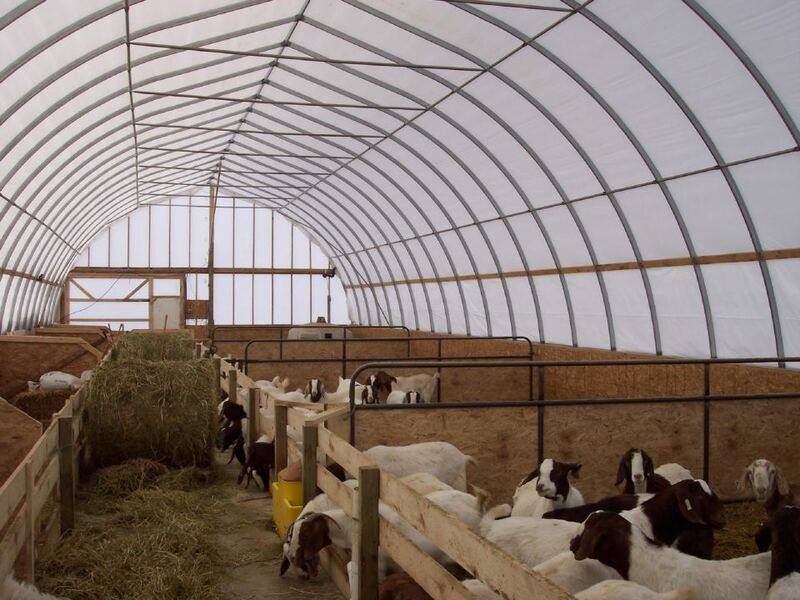 The combination of the double layer of plastic, roll up sides, and inflator fan, on both the greenhouse and livestock shelters, helps to reduce condensation and keep the structure ventilated. We are excited to be working on a solar powered fan option for those off grid customers or if the structure is out in the field away from electricity as we know many of our organic growers and farmers are in these situations. 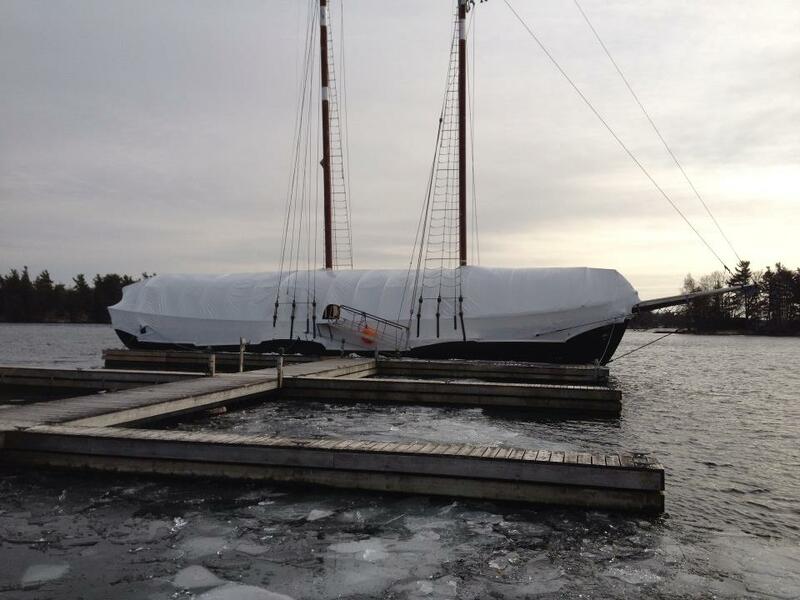 Marinas-Need help Shrink Wrapping or Storing Boats? We have your solution! 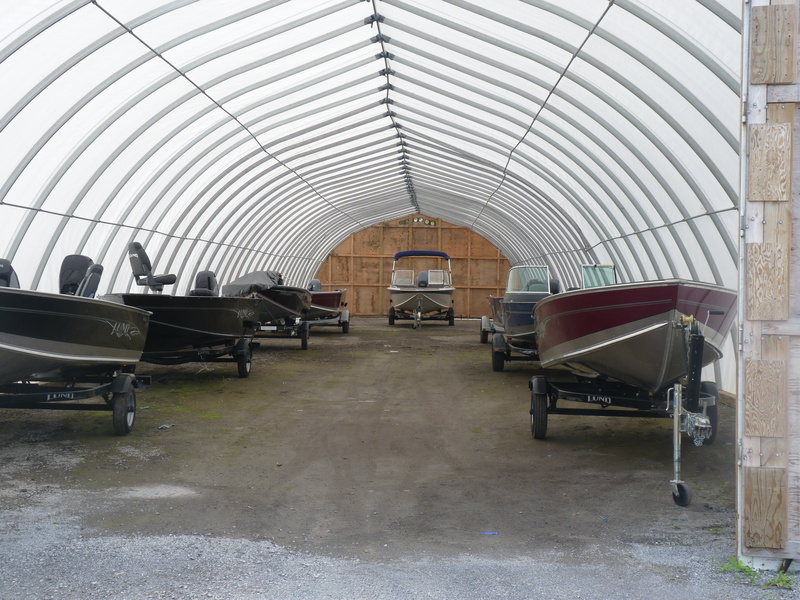 Our structures have been used by customers such as Hastings Marine and Terry Senecal in Gananoque for large scale protection while shrink wrapping boats and storing boats and RVs. 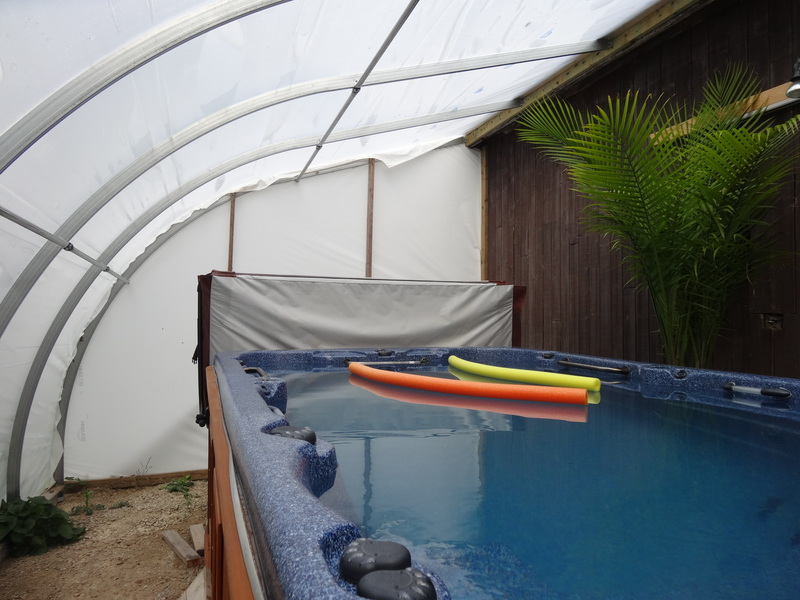 and we can even do custom projects if you require like this creative one for a customer living on his boat!